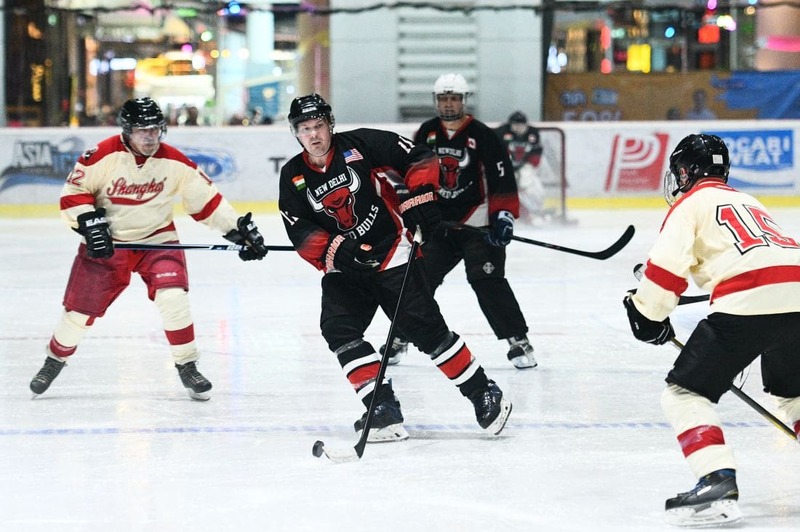 The New Delhi Sacred Bulls, the Shanghai Red Guard and 22 other teams competed in the City of Angels Ice Classic held March 27-30 in Bangkok at the Rink, Grand Central Rama IX. 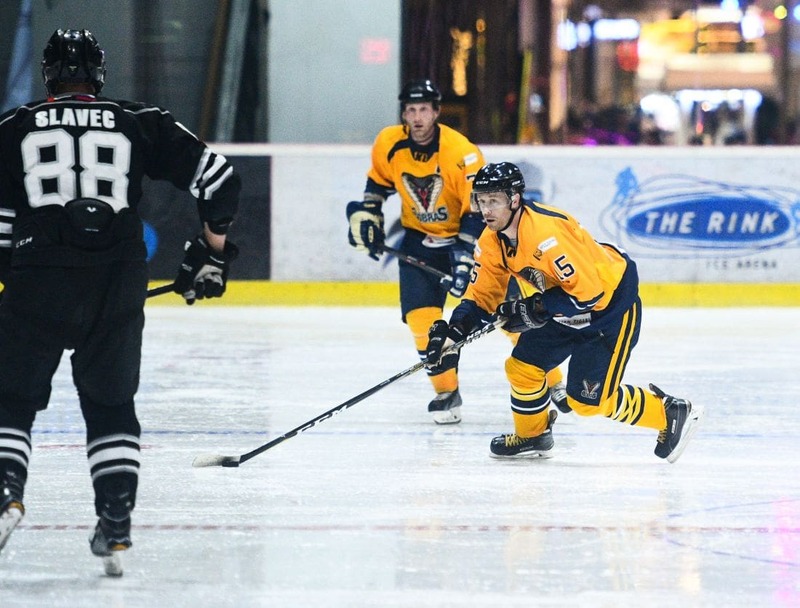 Long-time tourney participant Joe Burgess died recently in Phuket, so tour organiser Scott Whitcomb of Jogsports named one of the divisions after him and the Tokyo Hockey Freaks defeated the North of 69ers 2-1 to capture the division honoring Joe. The Flying Farangs had two teams in the tournament; the above 35 squad lost to Jellonas from Finland 3-2 in their semi-final match. Jellonas featured former NHL player Sami Helenius who suited up for the Dallas Stars and Colorado Avalanche among others during his professional career. 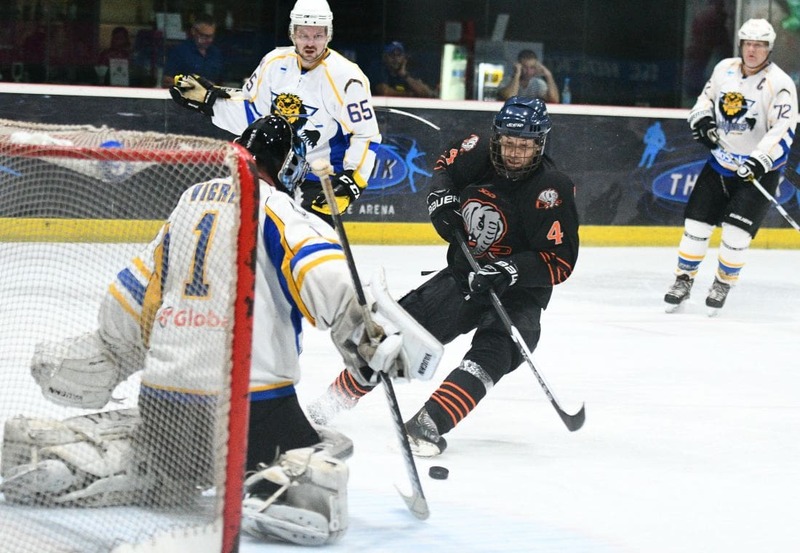 The Flying Farang over-40 squad led by captain John Schachnovsky captured their fourth straight title, beating arch-rival Hong Kong Tigers 4-1 in their division final. 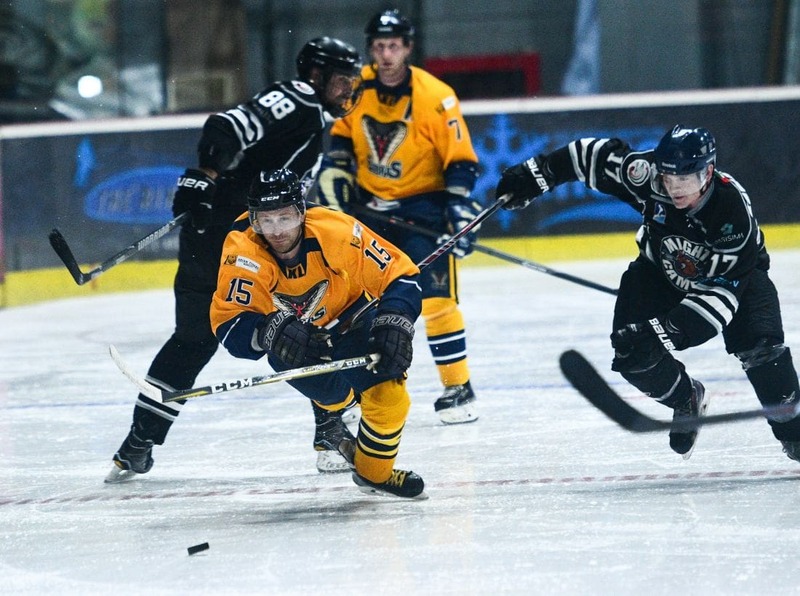 Kari Miettinen of the KL Cobras Rec team was the leading scorer in the tourney with 15 goals and 1 assist. 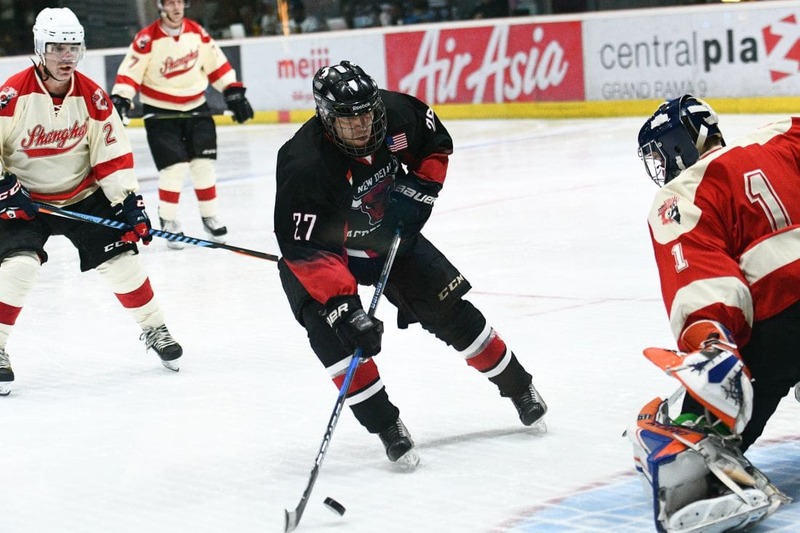 Bangkok’s Andy Brine had the most assists (10) while Tero Kipela of the Abu Dhabi Scorpions lead the goalies in wins (4) and GAA (.60); Brad McNamee of the New Delhi squad had the best save percentage (.982), while four goalies (Brad McNamee, Tero Kipela, Brad Baker of the Tokyo Hockey Freaks, Patrick Leduc of the Flying Farang) shared the shutout lead with two each.